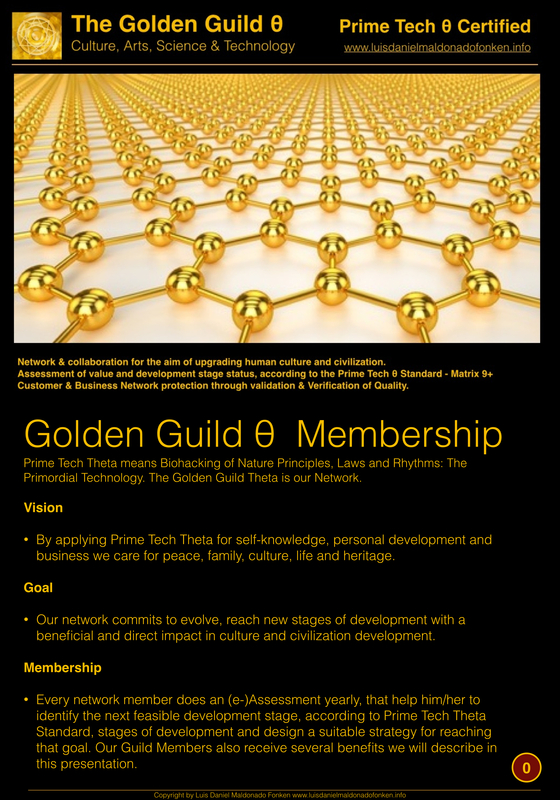 What does it mean to be Prime Tech Theta Certified? 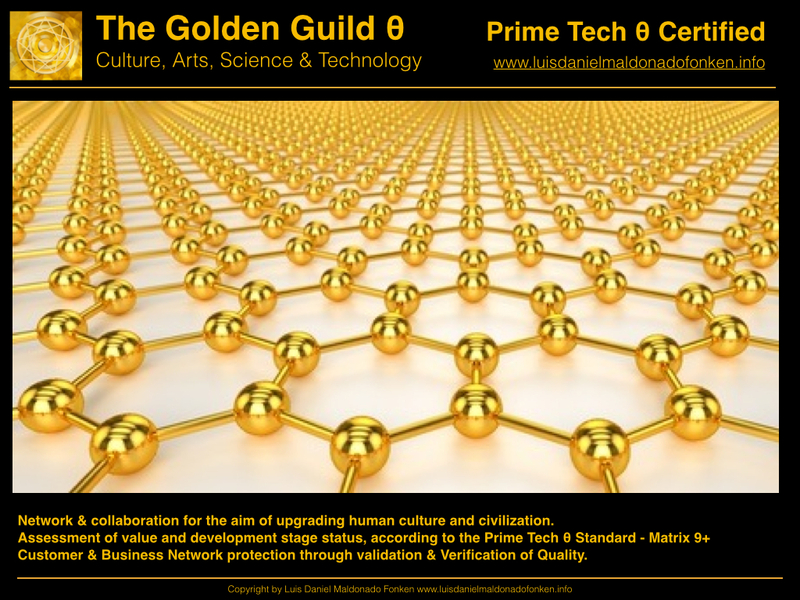 It means that after an assessment, at the level of your needs or request, an expert in the quantification of value according to Prime Tech Theta Standard, will give you a report on your status. 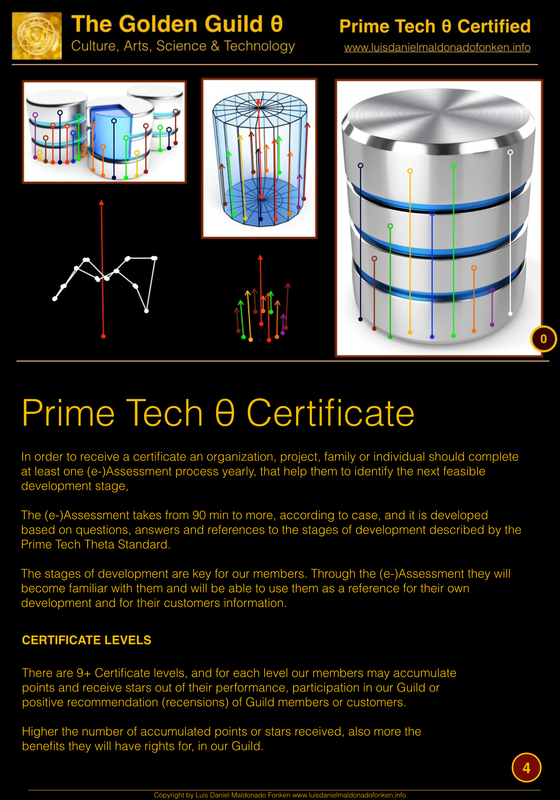 The Certification is a status report. 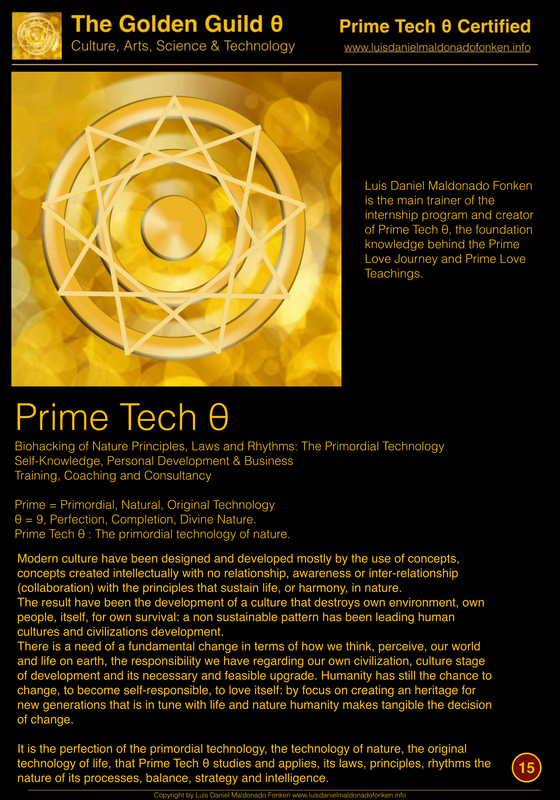 As your status may change every season or year, considering that yourself, your services/product or organization will develop in time. 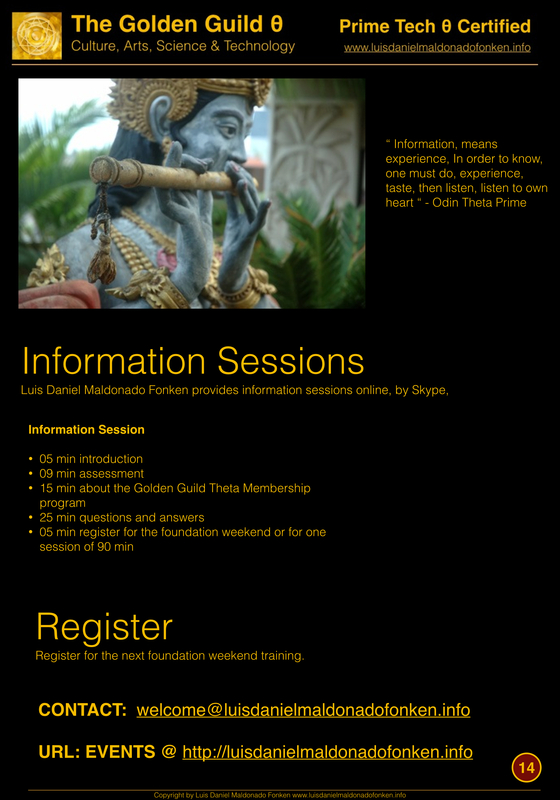 How to get Certified? How can i receive more information ? Request a skype interview by filling out the form in our home page. 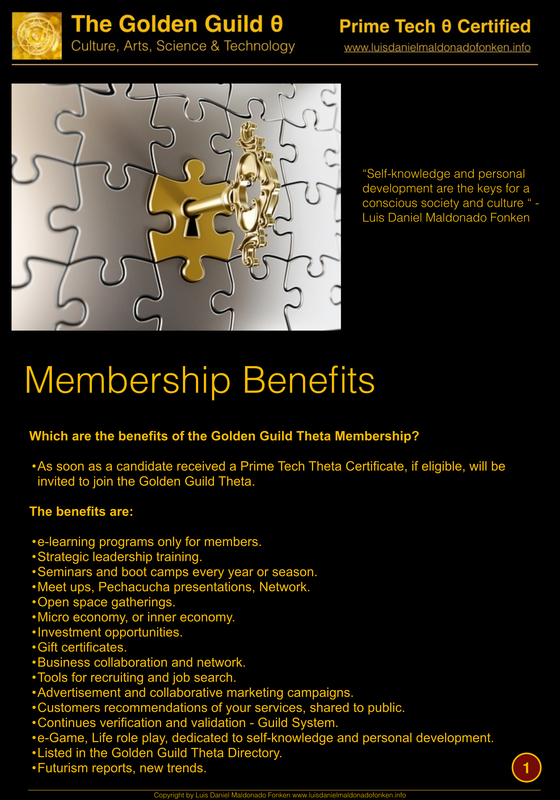 Which are the benefits of the Golden Guild Theta Membership? 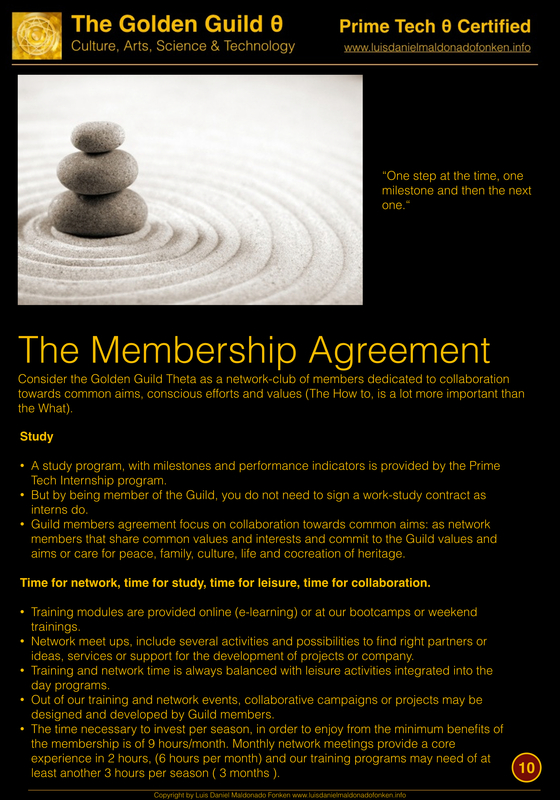 After one has a Prime Tech Theta Certificate, if eligible, will be invited to join the Golden Guild Theta. 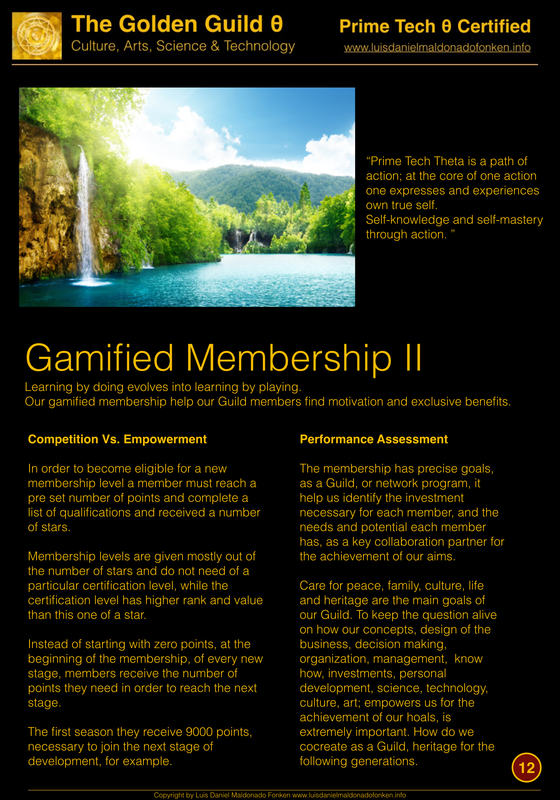 e-learning programs only for members. 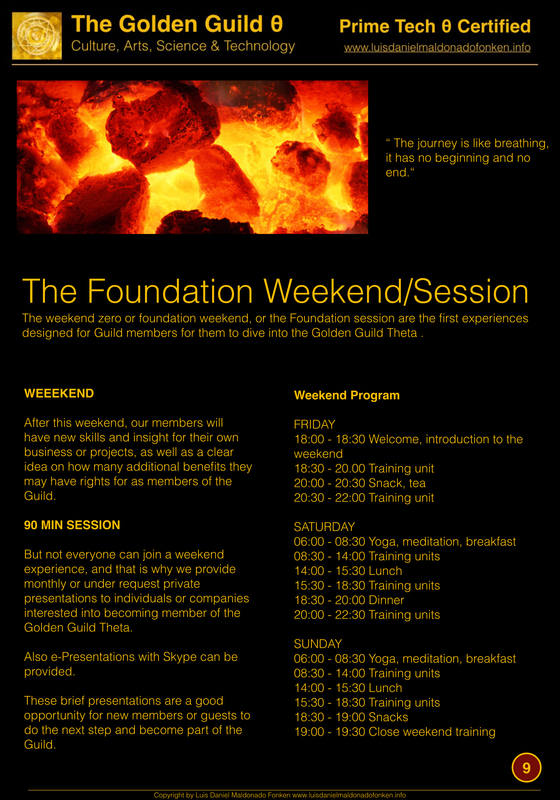 Seminars and boot camps every year or season. 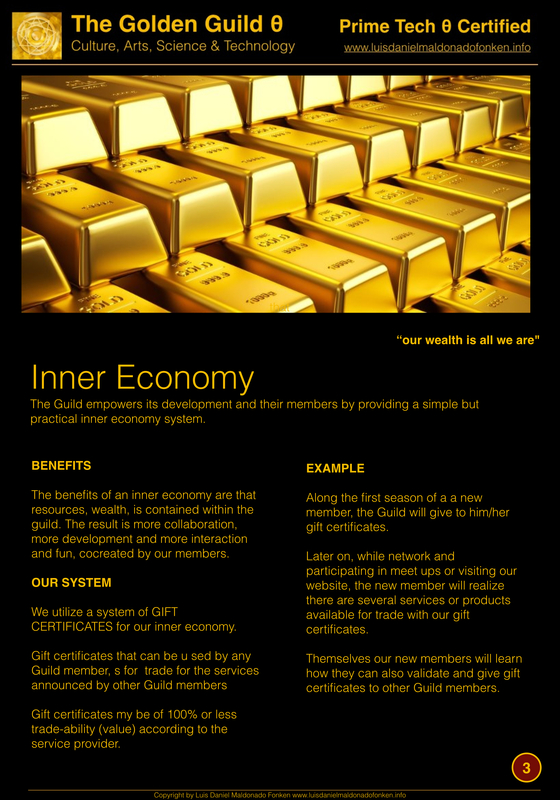 Micro economy, or inner economy. 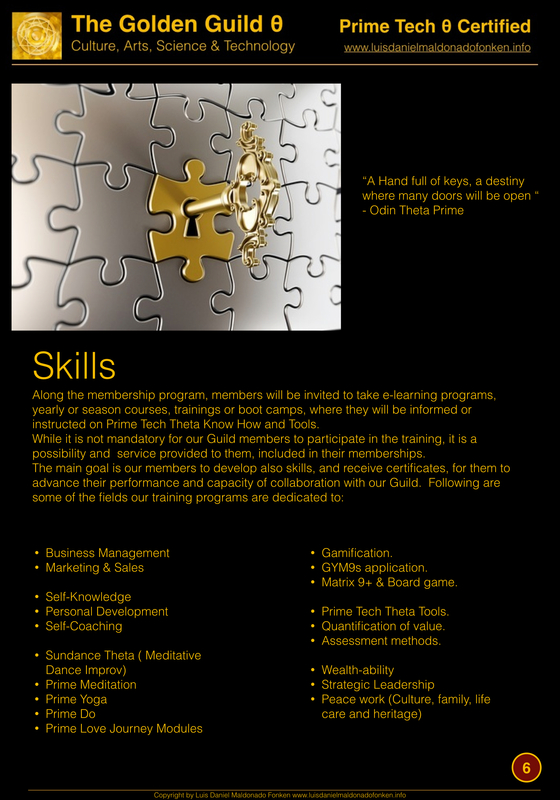 Tools for recruiting and job search. 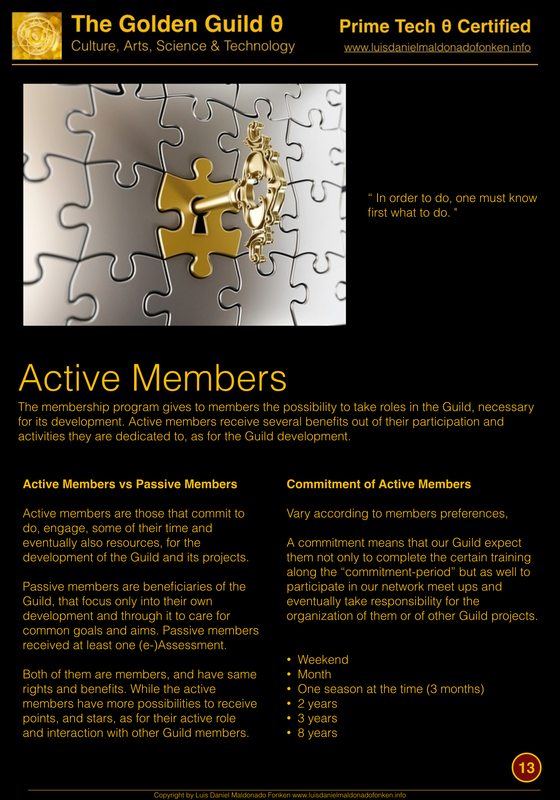 Advertisement and collaborative marketing campaigns. Customers recommendations of your services shared to public. 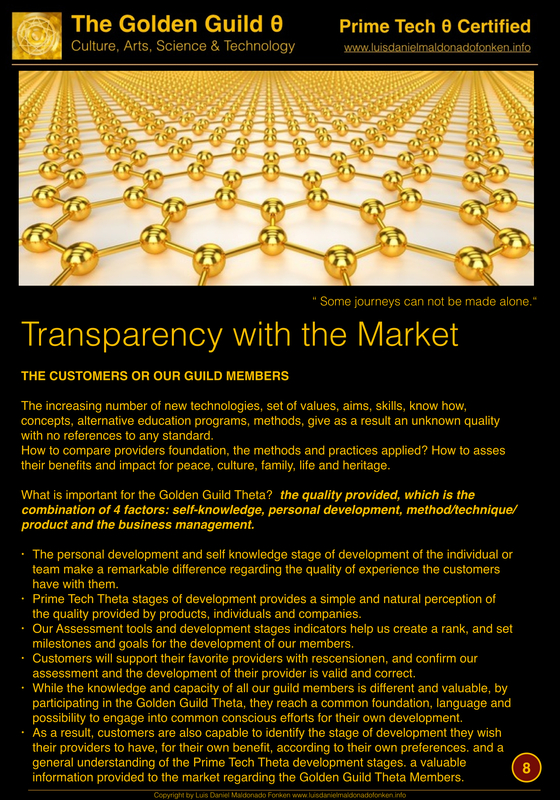 Continues verification and validation Guild system. e-Game, Life role play, dedicated to self-knowledge and personal development. 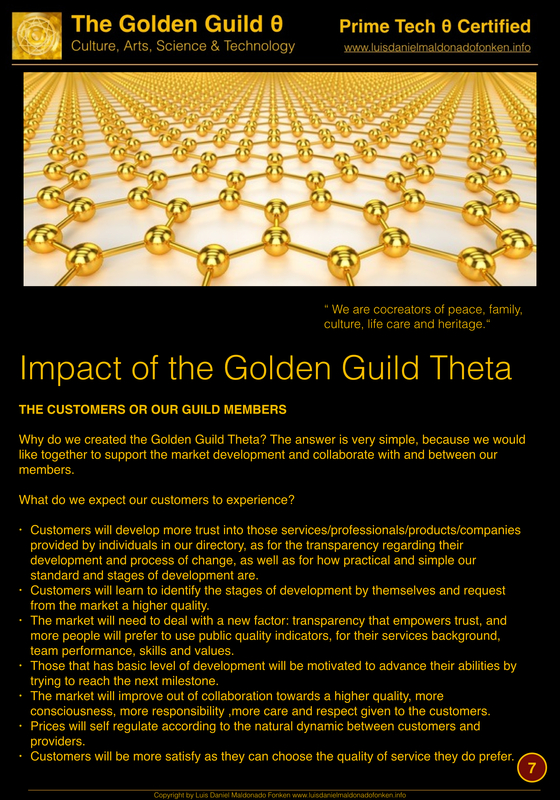 Listed in the Golden Guild Theta Directory.